When life takes a turn toward the absurd, you know you're on the road. 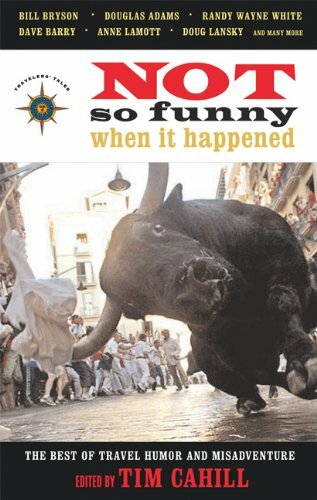 "Noto Funny When It Happened" collects side-splitting tales of travelisadventures from Bill Bryson, Dave Barry, Anne Lamott, David Sedaris, Adairara, Randy Wayne White, Mark Salzman, J. P. Donleavy, Elliot Neal Hester,nd other travel writers who pack a healthy sense of humor. Publisher: Travelers' Tales/Solas House, Inc.